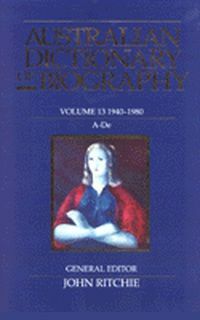 Volume 14 of the ADB, the second of four volumes to deal with the 1940-1980 period. 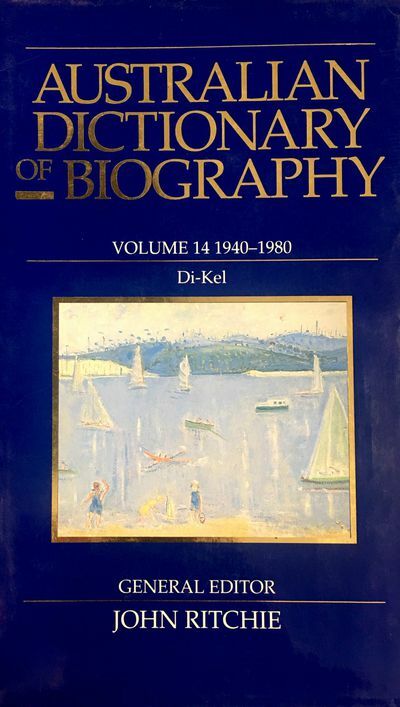 Volume 14 of the Australian Dictionary of Biography, the second of four volumes to deal with the 1940-1980 period, records the lives of Australians whom many of us will remember from the recent past. 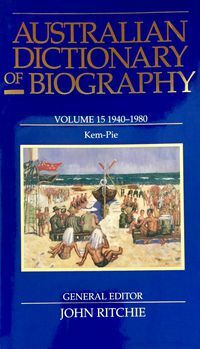 Maintaining the ADB's tradition of scholarship, Volume 14 reflects what changed and what remained constant in Australia's demographic composition and social values in the years of World War II and its aftermath. Like the pieces of a mosaic, a host of lives gives a picture of our society and provides insights into the experiences of our people. 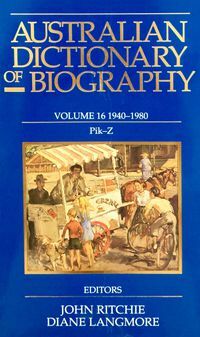 While biography necessarily focuses on the individual, a range of biographies illuminates large themes in Australia's recent history, themes such as immigration, accelerating industrialism, urbanization and suburbanization, war (World War II, Korea, Malaya and Vietnam), material progress, increasing cultural maturity, conservative and radical politics, conflict and harmony, and the loss of isolation and innocence. 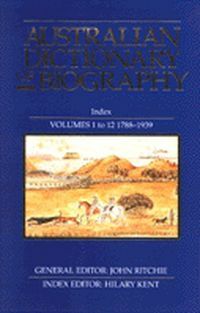 It also reveals something of the greatness and the littleness of which human beings are capable.